If you have kids you know they somehow actually produce more crap than you bought….I have a house of boys & it’s insane. The hampers are great for tossing lots of junk into….we use them for all the kids laundry & they fit nicely inside a small closet so I don’t have to see or smell (gag) their laundry until I want too! All purpose bag to store dry cleaning, laundry, winter clothing, shoes, toys, crafts, sleeping bags…whatever you’d like. 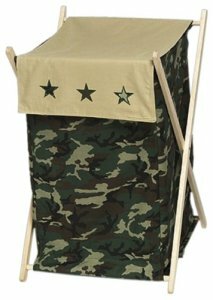 It has a sturdy frame, two convenient handles and a great camo design. You can’t expect those kids to sit upright ALL day can you? These are great for kids spaces & make gaming a little more comfortable. For some reason kids like to watch their friends play video games & these are low so we can have spectator seating on the couch behind them. Yes, it’s that bad! This unique bean bag chair is specially shaped to offer either a back-supporting pear shape or the familiar more round shape at your whim. It’s portable, so you can use it in your kids room at home or take it to the cabin on the river. 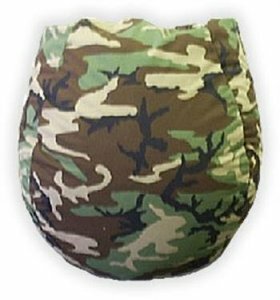 This Camo Bean Bag Chair is incredibly sturdy, refillable and made in the USA. If you have to look at a hamper then this one is pretty nice, plus it has that fold over flap to keep that fabulous boy funk contained. 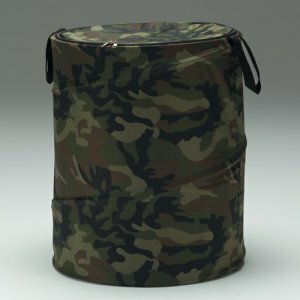 Right off the bat, this Jojo Designs camo hamper has a removable mesh inner lining, so, yes, it’s a good thing. As for the look, it’s matches with their terrific camo bedding sets, so now, Jojo has found a way to make even the laundry look adorable. The collapsible wooden frame can be folded up for compact storage in a closet or the laundry room. Got Cold Feet? 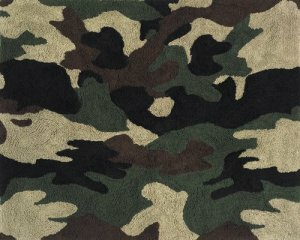 – Get a Green Camo Military Accent Floor Rug! I really like these, even on carpet. The kids tend to do horrible, unspeakable things to my carpet…at least I can’t see the stains on this rug! Sure I’m in denial, but I can live with that. From JoJo Designs, this Camo Green Military floor rug is made to match the JoJo Bedding Sets. This accent rug will be a great addition to your child’s camo themed room. Made from acrylic yarn, they have a non skid backing for safety, and lasting durability. Instant wall art, and it’s pretty cheap compared to buying real art. What is it with teenagers…they love this stuff. 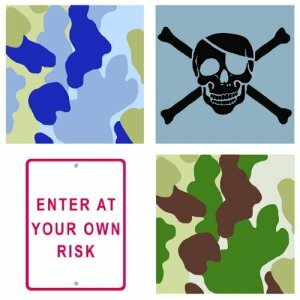 This Neutral Risk/Camo self-adhesive Wall Sticker Set has 4 sheets, displayed in these photos, that can be placed in any fashion you desire. They are made of vinyl and are moveable with a self-adhesive backing, plus, very easy to clean. Is it Stuffy in Here to You? Look everyone wants a ceiling fan in their room, they are just awesome! Why not get them the one they really want? In 10 years if they get bored with this theme just take the blades off & give them a coat of black spray paint. 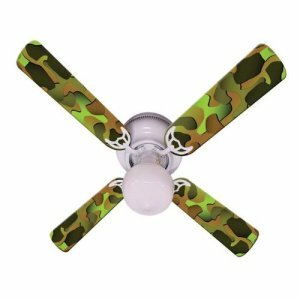 It’s really not possible to go overboard with camo…add a little Army style to your kids room with this camouflage ceiling fan. Did I mention they come in pink too? Yea that’s awesome! Want to be Parent of the Year? Holy crap, it’s a loft bed with a slide! Where was this when I was a kid…and why doesn’t it come in king size? My day would start much better if I had a slide, I’m sure of it. Now this is a very cool piece of kids furniture. 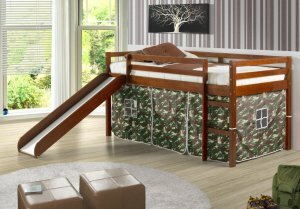 Taking up only the space of a twin-size bed, your kid can can get sleep, study and store lots of stuff this very well designed tent loft bunk. What great decor for your kid’s barracks. Does the Sunlight Melt Your Kids? 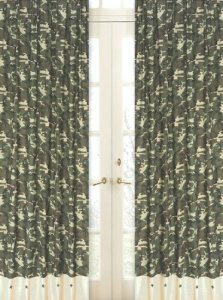 Ok, curtains are kind of a “girl thing”, but these are thick & will keep those morning rays out…plus they are totally camo. So they get a cool pass. 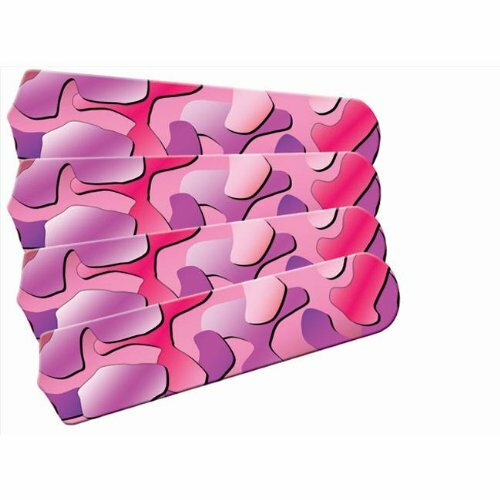 As long as you’ve gotten this far with the camo room decor, take the next step with these JoJo Designs Window Panels. They go perfectly with JoJo children’s bedding sets to help complete the look and feel of the bedroom theme for your child. Includes 2 Long Window Panels – 42in. x 84in. each. Fits Standard Rods up to 1.5 inches in Diameter. 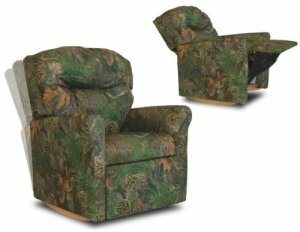 An absolutely fantastic piece of kid furniture,your kid will love this new Camouflage Rocker Recliner. Built for youngsters, this high-quality rocker recliner comes in a variety of kid-durable Camouflage Denim which makes cleaning up pizza and bread crumbs a snap. Recommended for children ages 2-9. Made in the U.S.A.